Home / Let's Talk / Tabelog Event at Skal. First things first! The picture you see above, is a photo that I stole from my new friend “Restaurant Fairy.” I was standing around, when I saw Joyce, Sachiko (Tabelog Host), Malini (Restaurant Fairy) and the owner of Skal, Christoff posing for a picture. So guess what I did? EPIC PHOTOBOMB! In typical ARodomus fashion, I just jumped in the photo. But I can do that, not only was I on network TV and radio a few times, I make rap musc. So yeah. LOLz. 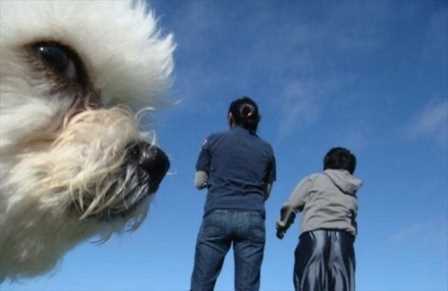 Speaking of photobombs, check out these amazing classics! Okay, now that we have that out of our systems, let me ask you, have you ever heard of Tabelog? For those of you that have not, allow me to tell you a little bit about them. These guys are a restaurant review site based out of Japan. They are currently the big dogs over there, followed by the slightly smaller Gurunavi. Yelp is set to move to Japan as well, but hopefully these guys can stay strong and keep their lead. Gokouun o inorimasu! I’m not a fan of any one company controlling an entire market. I’ll just leave it at that. Keep it classy Angel, keep it classy. Tabelog has started expanding to the U.S. They have been working out of NYC for sometime now, and just recently launched in Chicago. Next up? West Coast baby, COO Kenta Hirai is “going back to Cali, to Cali, to Cali, going back to Cali” to win the hearts of the people in San Francisco and Los Angeles! I recently returned from a San Franciso trip, and I’ll say that some delicious food experiences await my friend. Sorry Sachiko, maybe you can go on the next trip? Speaking of Sachiko, she is the reason I know about Tabelog. Some months ago she invited me to participate in a restaurant judging competition being held by Tabelog. Basically, a bunch of NYC based bloggers were invited to judge and vote on our favorite restaurants in any number of areas. Quite clever technique guys, clever indeed! Seeing as though I had just recently been a judge on a network television show, this approach caught my attention. Touche Tabelog, touche! Part of the process is that they give you a shiny, official judge badge, and with your permission they can import your reviews into their website. An automatic, or possibly not so automatic process, that importing stuff. Last night was my first Tabelog event. 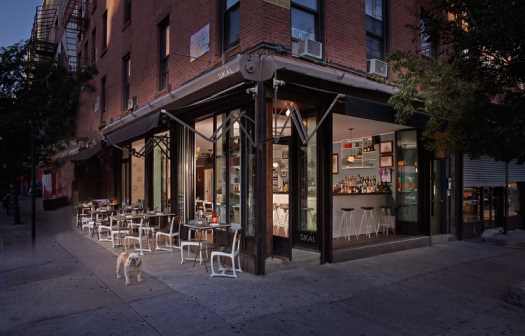 It was hosted at 37 Canal street, a nice location called Skal. Upon arriving I saw that the doors were all open, allowing for a nice air flow into the blogger packed room. This creates a feeling of openness and gives a nice touch to the atmosphere of the beautiful location. Skal is an Icelandic restaurant, now how’s that for something different? Consequently, related yet unrelated, I’ve been looking to visit Iceland for sometime now. That location is definitely on the agenda, and if the food at Skal is any indication of what there is to eat in Iceland, I’m doubly looking forward to the trip! This was my first time here, and I’ll say it is quite a nice space. I’ll have to check this place out on a regular night to see what else they have going on. The owner Christoff was really cool, and he has cool hair. Now check this, this guy was all over the place, working as hard as any of his staff! I didn’t even know he was the owner, that’s how much he was grinding. Respect! Ben Spiegel is running the show in the kitchen, and during the meet and greet, we sampled many of his culinary creations. My favorites were these cute little appetizers! First up is the Raw beef, made with fermented ramps, littleneck clams, and sorrel. This dish looked like a bruschetta to me, but the ingredients were different. Think bruschetta, with the aforementioned items, and you’ll know what it looks like. Next up come the Salt Cod Croquettes, with horseradish remoulade. I love croquettes, and I love beef. These little yummies made my palate happy. YUM! There were many other items, and they tasted great as well, but I didn’t catch all the proper names. Since these two really caught my attention, I managed to get those names. Our friends over at Johnny Prime’s were able to get some really nice pictures of most of the items, if you’d like to visually see what I’m mentally trying to draw for you. I finally met the face behind the “awards” email address. Sachiko, aka the Cutie Patroller, was very pleasant, a kind spirited, beautiful young lady. From now until the end of time I will never forget the way she says CEO. Unless you join Tabelog and get to meet her, you’ll never get to enjoy this great pleasure! We chatted for a bit. She was the event host and as such she was quite busy. Our chat was brief but pleasant. I look forward to having her as my prom date. LOL. I also met Kenta, COO for Tabelog, very cool guy. His introduction was “I know you man, you are from the TV right?” A researched man is a successful man, “Please, Kenta, tell me more about me!” Haha, I’m just kidding. Kenta goes by “Lord of the forks.” I love that concept, so freaking clever! Another gentleman that I met was the CEO of Tabelog, Takehiro Miyajima. How’s that for a personal touch? How many CEOs have you met at any other blogger event? Kudos for that! Miyajima-san was very down to earth. We chatted for a bit, quite a cool dude. He told me about a new Instagram-like food app that is on its way for Tabelog, as well as their upcoming location launches. Takehiro told me that he loves NYC, so I shared with him about my time in Japan and how I love all things Japan myself. All in all, I enjoyed meeting these new folks. Everyone I spoke with was very cool and friendly. At this event I didn’t know a single soul, and for some reason I wasn’t on my networking hustle. I spent a good deal of time speaking with a few specific individuals, and most of the time just observing the crowd. I had a medium grade migraine headache, and I wasn’t at my best when it comes to chatting up perfect strangers. When I was approached I did talk, but I just wasn’t on my A game. In addition, for some reason I felt extremely timid, possibly because I haven’t been going out lately. Some of the folks appeared to know each other, and were chatting by the time I arrived so I felt a bit like an odd man out. I did enjoy meeting the folks I did meet, and I look forward to the next event and meeting more Tabelog users! Hopefully during the next event I won’t be suffering with a damn migraine and I could work my verbal magic! 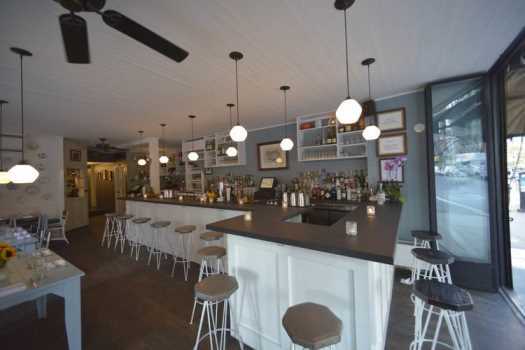 Shout out to my new buddy Matthew Singer over at Bartaste.com, we discussed quite a few ideas, and will possibly work together on some future projects. Shout out to Joyce and her husband at The Alchemy shop whom I spent some time chatting with, she is part of my photobomb above..